Bollywood Actor Salman Khan and Rockstar actress Pakistani import, Nargis Fakhri were spotted at the 8th Indo-American Corporate Excellence Awards. Model turned actress Nargis Fakhri posing for photographers during the 8th Indo-American Corporate Excellence Award function at Hotel Trident in Nariman Point, Mumbai. Bollywood actress Nargis Fakhri in one-shouldered black dress is looking gorgeous and amazing. 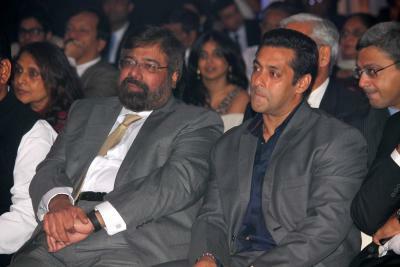 Salman Khan looked extremely handsome in formal suit at the corporate Award event! Bollywood superstar Aamir Khan is all praise for his friend Salman Khan’s upcoming movie Ek Tha Tiger and he feels Ek Tha Tiger Movie of Salman Khan with Katrina Kaif will be a superhit. Note: Ek Tha Tiger will hit the theatres on the eve of Independence Day 2012 i.e. on 15 August,2012. 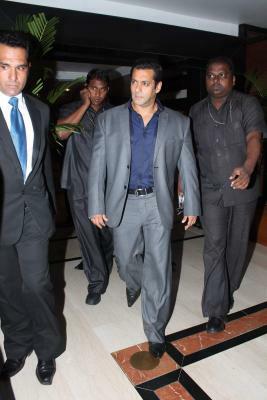 Bollywood actor Salman was a presenter of 8th Indo-American Corporate Excellence Award event. He rocked there and entertained the audiences with his humorous remarks. Half Pakistani and half Czech model Nargis Fakhri was introduced to Bollywood by director Imtiaz Ali as Ranbir Kapoor’s love interest in the 2011 hit movie Rockstar. Check out Ranbir’s crazy over Nargis now… and the secret to Nargis Fakhri’s famous pout! You are currently browsing the archives for the Bollywood movies category.